Introducing this home decor accent to add into your collection of bar, in the basement, or in the kitchen for easy storage of wines and other beverages. 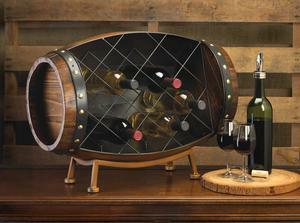 Artistically crafted to display your collection of wines with the look of wine barrel. 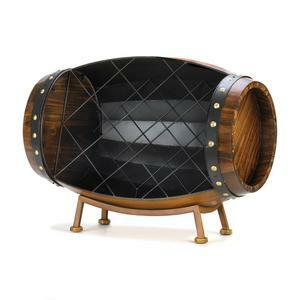 Don't miss this one of a kind treasure while supply last. Dimension 22¾" x 13½" x 18" high. Material Fir wood and iron. Urban Treehouse is a destination for unique and interesting items to help accentuate your personal sanctuary, and transcend the day to day.